It’s one thing to say, “Try this out, it’s great.” But if all you have is an idea and no advice for follow-through, you won’t be inclined to try it, will you? – Don’t be afraid of new technology. – Take the time to learn how to record your voice onto your computer (maybe buy a decent microphone to cut down on the background noise or hiss of white noise that may occur) and create a podcast audio program built around you and your book(s). – Read excerpts from your favourite chapters. – Talk about your writing process. – Talk about ideas for your next book. – Read deleted scenes or chapters that never made it into your published book. – Delve into the motivation of your characters. If you’re not sure what your fans would like, ask them. Pose a question on your blog (or tweet it) and see what they are most interested in hearing about – then get started. Just remember – you are in control. If you have limited time to devote to this concept, make it a monthly recording. If you have a lot to say and you’re really taken with the medium, make it a weekly show. However, I would advise you not to make short recordings if you’re a monthly contributor. Your fans will want substance if they are going to welcome this medium as part of their understanding of you. With one voice, an hour is too long, even 45 min. goes beyond a realistic listening time. Try to keep the longer recordings to around half and hour (a little over, a little under – it all depends on what you’d like to share that day). 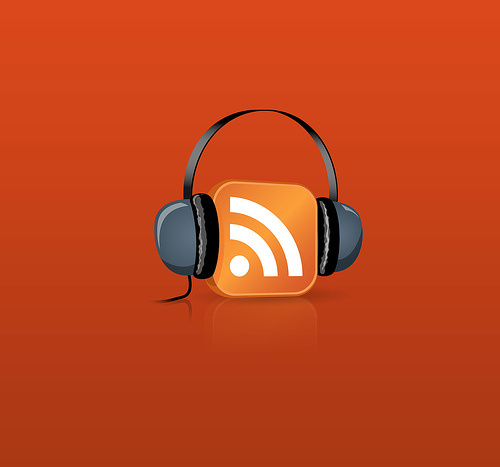 If you like the idea of shorter weekly podcasts, focus on at least 10 min. of talk time. Any less and it won’t be worth it for your listeners to tune in. If you are able to maintain weekly 20-30 min. shows with fresh content, this would be the optimal connection to have with your fans – optimal but not mandatory. If you’re not naturally comfortable speaking off the top of your head or are prone to ummming and ahhhhing, write yourself a script – be sure to practice it out loud a few times so that you don’t sound stiff and formal (unless that’s what you’re going for). Give yourself the freedom to experiment with different mediums in the media… you may just surprise yourself.